New York Painting Services of New York supplies a multitude of contracting services to commercial businesses and residential homes locally and throughout New Jersey. 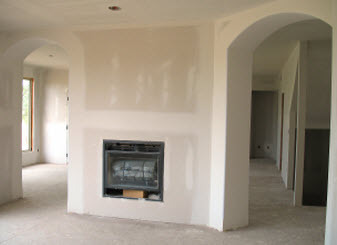 We are completely licensed and insured and so since 2004 to bring professional quality craftsmanship. New York Painting Services is comprised is a team of specialists that have training, experience, and skills; making them leading experts in the industry. With New York Painting Services you come to expect consistent attributes such as; high moral values, exceptional work ethics, friendly customer service, and prestigious workmanship. 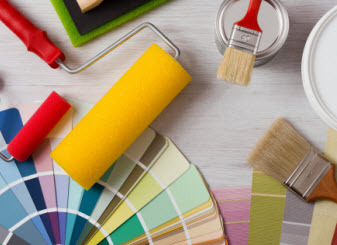 New York Painting Services uses premium quality products, equipment, tools, and supplies to ensure our customers receive nothing less than maximum results. There are many of us who live in the assortment of apartments in New York. 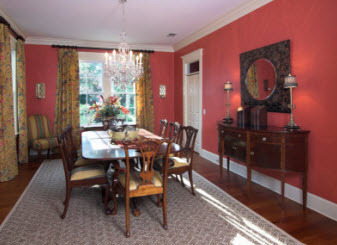 Whether you are living in a small studio apartment or enjoying a scenic garden apartment, you still have the option of enjoying the options of interior paint projects from New York Painting Services. No matter the apartment size, you want to interior paint to speak more to your personality and to spread the dynamics of the space you call home. Whether you are partial to the traditional, modern trends, or rustic nature, finding the right painting combinations is ideal. New York Painting Services offers painting design consultations for those who know they crave a change but can’t seem t put a finger on it. When painting small spaces; the studio apartment, convertible apartment, studio convertible apartment, and the alcove studio apartment, New York Painting Services of New York recommends choosing colors that enhance the space that makes the room feel bigger than it is. Neutral colors help this department. Go gray with compliments of white for accents, beiges and tans, blues that calm and so on can help enhance room to feel larger. For your apartments that offer a tad more space in New York such as; lofts or junior apartments for example, could still benefit from the neutral, but could even go into more playful colors that will give the same effect. Orange blossom, and white accents, hazel blues with light grays are an excellent example of a flirty way of playing with energy but still creating the illusion of more space. Swirling smoke, a form of a light gray, paired with cloud white is a classic combination that will create a feeling of openness all the while sticking to a timeless classic. For New York apartments that need nothing more than your personal flare such as that garden/basement apartment, duplex or triplex, classic 6, 2- bedroom, or 3 room apartment and so on, sticking with the latest trends could be all you need. In 2016 pale pinks coupled with any range of gray is what’s hot. For those who love the sunshine and vibrancy, bright yellow and white are making a comeback bringing a whole new level of energy, not to mention the pale yellow is also ideal for those who like the idea of yellow but are not committed to the intensity of the bright yellow. Greens and blues will never fade from current trends, playing with texture and accents that appeal more to your style will contribute to the apartment painting are more suited to your tastes. No matter what you are looking for, New York Painting Services can help you achieve it. Our apartment painting service is pristine and crisp, leaving your apartment painted to perfection. Call us today to get started!